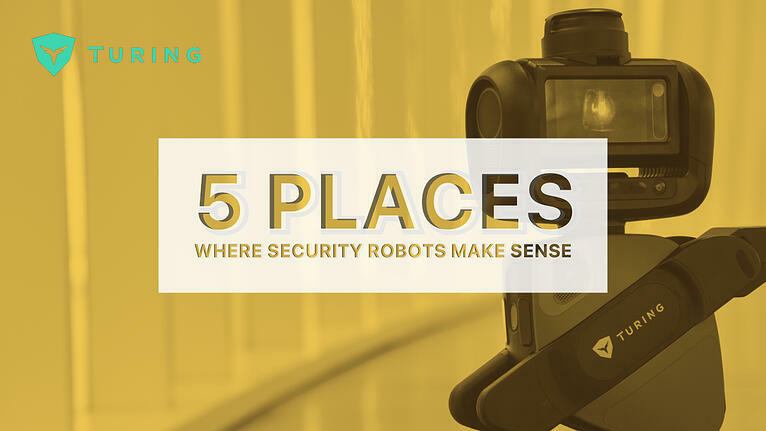 In 2017, security robotics was a pre-mature, yet emerging, trend in the security space. Over the past couple of years, things have started to change. What's the Difference Between AI, Machine Learning, Computer Vision, and Deep Learning? Artificial intelligence, machine learning, computer vision, and deep learning. They all seem to be used interchangeably. But are they really the same? We're numb to them. Practically overrun with them. And chances are, you're sick of hearing about them. Whether you love to hate or hate to love him, it's undeniable he is an icon for the industry. When we're talking about mall and retail security, we're talking about none other than Paul Blart: Mall Cop. My name is Shannon, and I build outdoor robots for a living. According to a recent study, that's how many workers could be displaced by 2030 thanks to automation and artificial intelligence. These stats can be scary, and they tend to flare up heated debates around technology and its role in our work force. For most of us, Hollywood has painted an elaborate picture around the world of robotics and artificial intelligence. Images of dystopian societies, robo-villains, and Arnold Schwarzenegger's classic line "Hasta la vista, baby!" probably come to mind. The World Economic Forum released their 2018 Future of Jobs Report, a 147 page document outlining how economists predict our job markets will change in the upcoming years. There has been a lot of talk around automation in recent years with A.I. and robotic technologies advancing at an unprecedented rate. Rather than listen to vast array of online opinions, we decided to take a look at what the economists had to say.